I am a family law paralegal. My employers expect me to have certain “hard skills,” such as typing, knowledge of the law, and the ability to fill out complex legal forms. But just as important as any technical knowledge which can be learned in a formal paralegal studies program are the “soft skills” that enable me to do my job. For instance, I need to be able to interact professionally with clients, negotiate their difficult emotional states, and speak well on the phone. Many of the soft skills that I use in my job each day came not from a classroom, but from my experience in secondary school band. Every job requires both “hard skills” and “soft skills.” Hard skills are technical skills that you can demonstrate mastery of through education, certification, or other means. Soft skills are those interpersonal behaviors that facilitate workplace harmony. The nature of hard skills changes over time as technology evolves. For instance, no classified ad is going to request cotton gin operators anymore. So what are the “hard skills” most in demand today? Foreign Language Skills - We are constantly reminded that we live in a flat world. This means we have to communicate with people who don’t speak English. Developing proficiency in a foreign language can open up a world of opportunities. The most in-demand language skills include Spanish, Chinese, Arabic, and Portuguese. Specific Diploma, Degree, or Certificate - For many professions, you need a specific educational credential in order to get a job. Doctors need a medical degree, attorneys need a law degree, and CPAs need a license that requires both specific accounting classes as well as passage of a test. There are many credentials that do not require years of schooling, though. For instance, a Notary Public license requires a course and exam that can be completed in one day while a Certified Nursing Assistant program can be completed in four to six weeks in most states. Typing Speed - Because much work is done on computers these days, typing skills are not just for secretaries any more. Even busy executives will want to be able to compose their thoughts quickly on a word processing program. Accurate, fast typing speeds can open up a world of possibilities to the employee. Students in middle and high schools often have access to elective classes in keyboarding. But it is not necessary to take a formal class. There are a number of sites online including the one at Free Typing Tutor. Machine Operation - There is a myth that machine operation jobs like the ones in factories or car shops have disappeared. In fact, 12.3 million people are employed in industrial jobs in the USA. What has changed is the skill level of the people performing these jobs. In fact, only 20 percent of manufacturing jobs in the United States are considered “unskilled.” Those who do develop machine operation skills can make good salaries. For instance, people who obtain an Associate’s degree in Mechanical Engineering Technology or Industrial Engineering Technology often see starting salaries north of $50,000. Computer Programming Skills - If you take a look at America’s billionaires, you’ll notice that many of them made their fortunes after developing coding skills. While not every coder becomes as rich as Bill Gates or Mark Zuckerberg, computer programming skills are an entryway to high paying jobs. Some people opt to get their coding skills in college via a Bachelor’s degree in Computer Science. Others, particularly college grads in liberal arts fields, are turning to 8- to 16-week bootcamps. 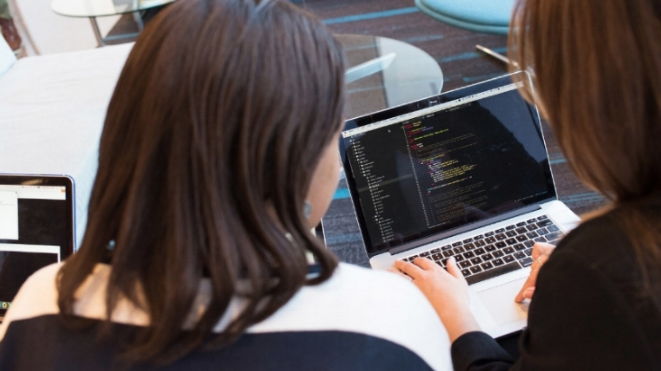 While formal programs may open up employment opportunities in addition to teaching the programming skills, it is possible to learn computer coding on your own. You can take an online class through a site like Coursera.com or just turn to free resources such as videos on YouTube to develop knowledge about how to code. Education reform over the last 20 years has been focused on proficiency in math and English and on developing “hard skills.” Unfortunately, this has come at the cost of reducing programs such as the arts which are not seen as advancing the agenda of having “job ready” graduates. But employers have started to complain that the schools are not producing the kind of workers who can function in the complex work environment that exists today. Music education helps students in many ways beyond developing musical skills and an appreciation for fine arts. Music Education in the Classroom is Collaborative - Rather than sitting at their desks answering “fill in the bubble” tests and worksheets, students in the music classroom work with each other to produce a beautiful concert. This helps to develop skills in communication, flexibility, patience, teamwork, and critical thinking. Music creation is also a form of self expression and offers a sense of community that can help develop self confidence and assist with stress management. Music Education Leads to Leadership Opportunities - Not every student has the opportunity to serve as Class President, but in the music classroom, there are a number of ways for students to step up and lead. From serving as First Clarinet in the band, to performing a solo in choir, to organizing a program fundraiser, music students get the chance to shine. These leadership positions provide students with the opportunity to learn career skills such as flexibility, problem solving, and motivation. 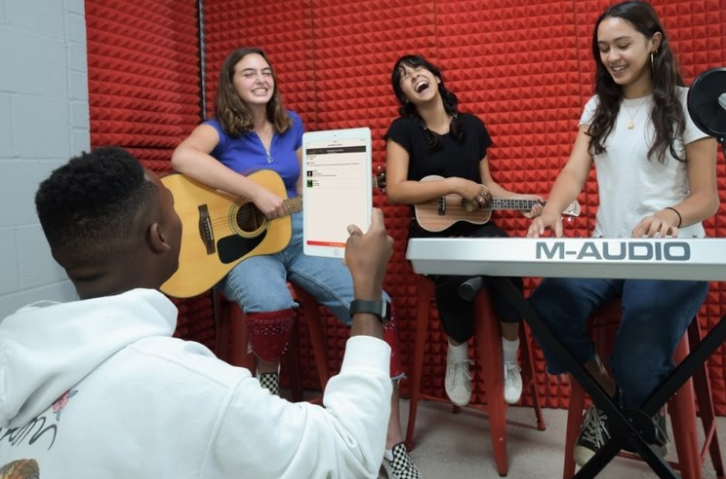 Music Education Promotes Creativity in Schools - One of the things many college freshmen lament is the difficulty making the transition from the rote work they did in high school to the creative and logical work they are expected to accomplish at the university. Students who have been active in music programs in their K-12 years have a leg up over their non-musical peers in this regard. They have developed flexibility, motivation, work ethic, and creative skills that non-musicians often lack. While developing “hard skills” in primary and secondary schools and beyond is necessary for a good career, these skills are not sufficient to get and keep jobs. Being able to work hard, come up with creative solutions to difficult problems, and get along with coworkers and customers are all essential for 21st Century employees. It is short-sighted to think that if schools prepare students with only skills that can be tested that they are ready for the current workforce. By funding and supporting music education, schools can help produce the well rounded students who have the soft skills essential for the jobs that exist today!